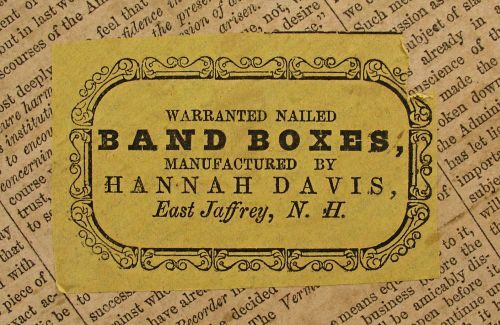 Warranted Nailed Hannah Davis wallpaper bandbox with original paper label. 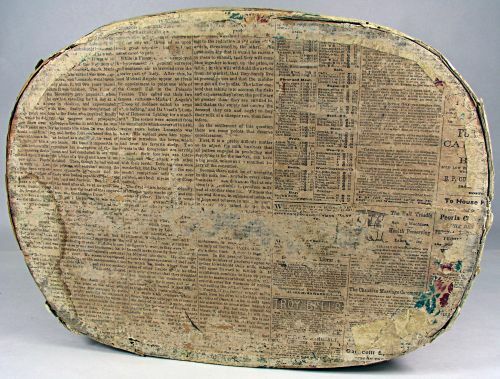 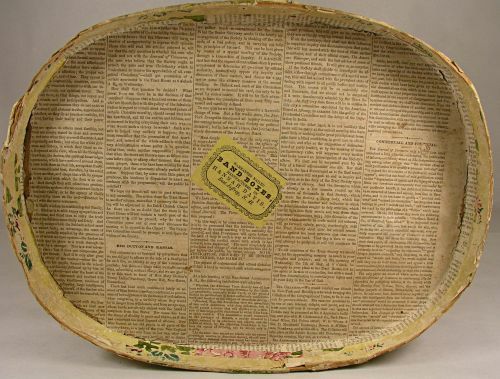 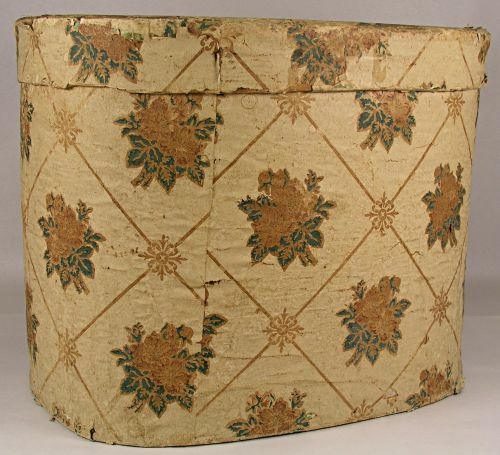 Oval wallpaper hatbox in very good condition lined inside and on top and bottom with 1850`s newspaper. 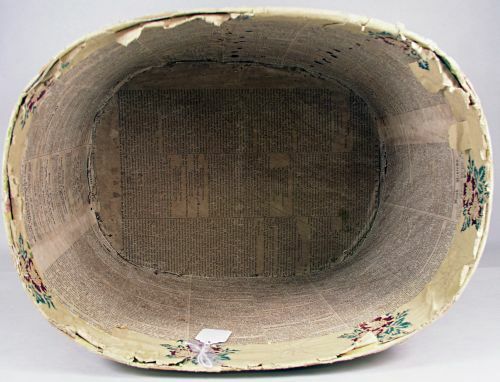 Wooden lid has a very small loss on edge that is not an issue. 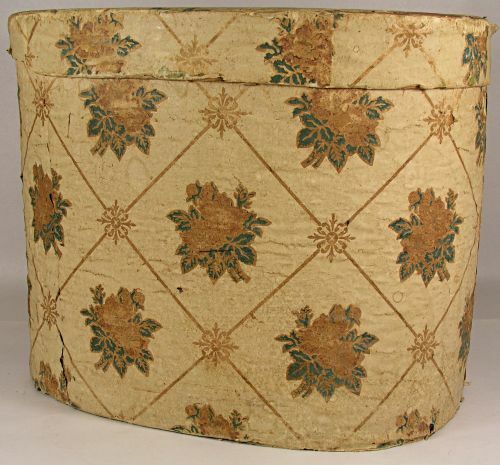 Dimensions: Measures 14.5" x 10.75" x 11.5" tall.